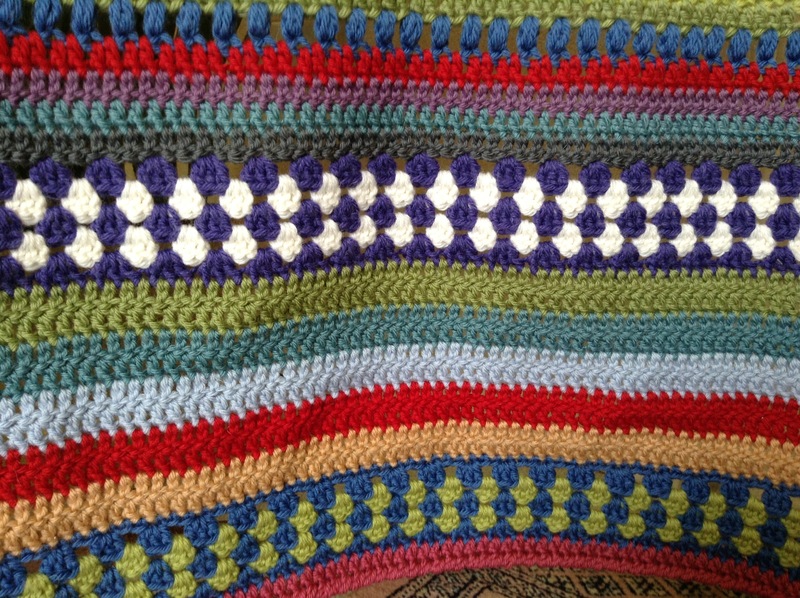 Finish knitting the border on to the row by row baby blanket . 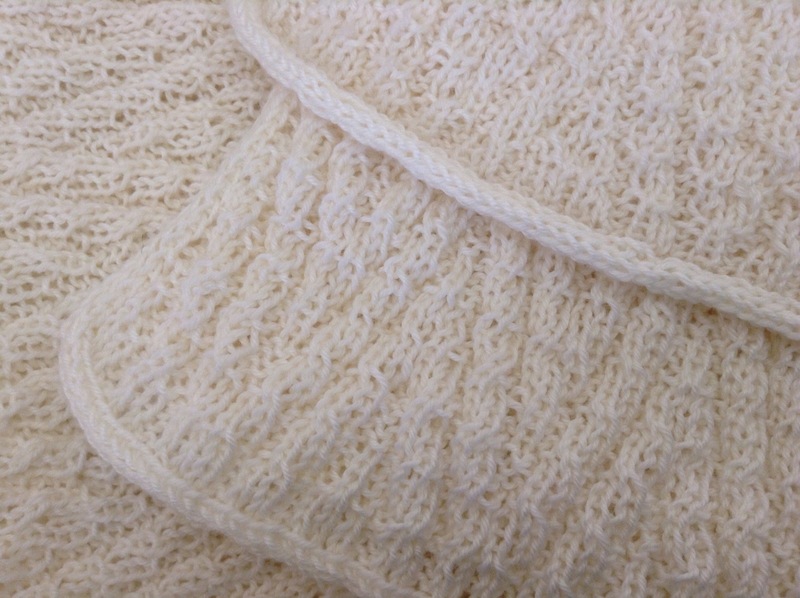 Knitted shawl, knitted with various balls of baby sock wool. 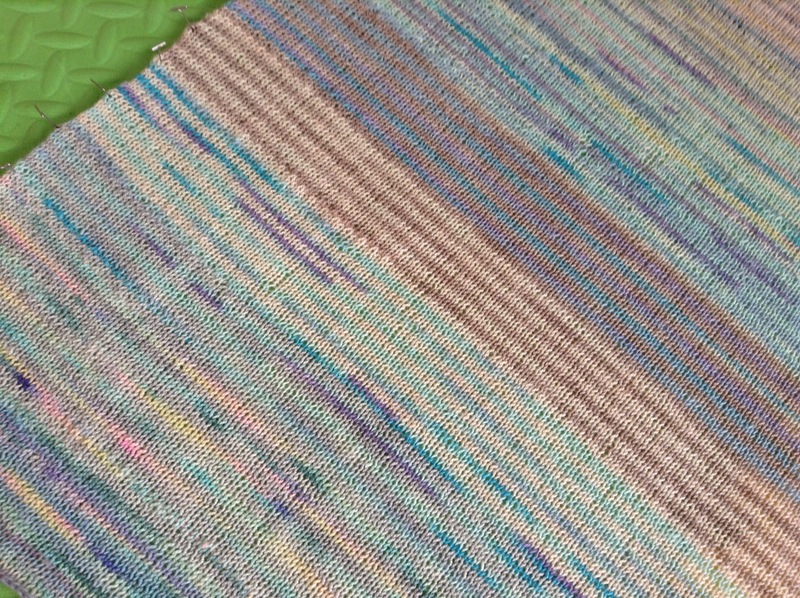 Knitted knee rug, knitted with a off white mohair blend wool. Crochet knee rug, crocheted with various colours of Rowan wool. 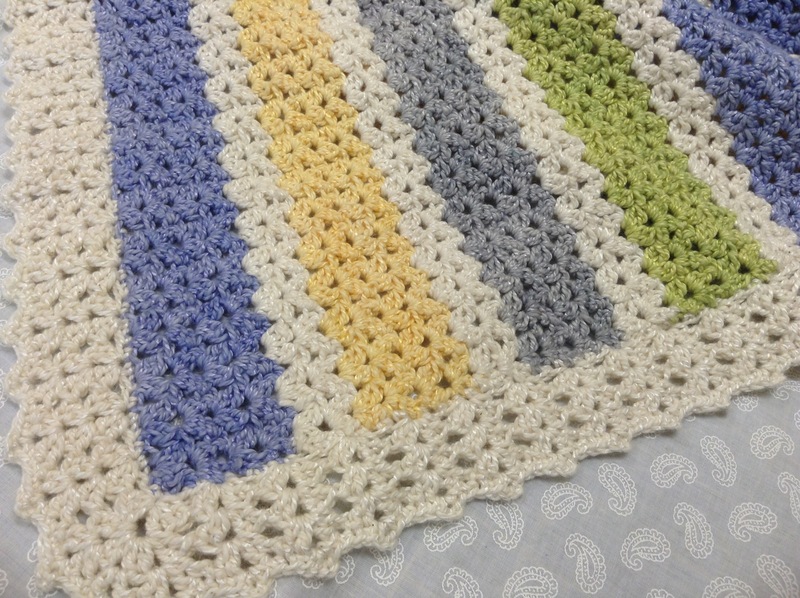 Crocheted baby blanket, crocheted with a bamboo/cotton blend yarn. Round robin quilt, this I will enter as a group quilt. I hope to enter my Raiko Kato quilt, this still has two blocks that need to be hand quilted and the binding put on. The articles need to be in by Thursday. No pressure. 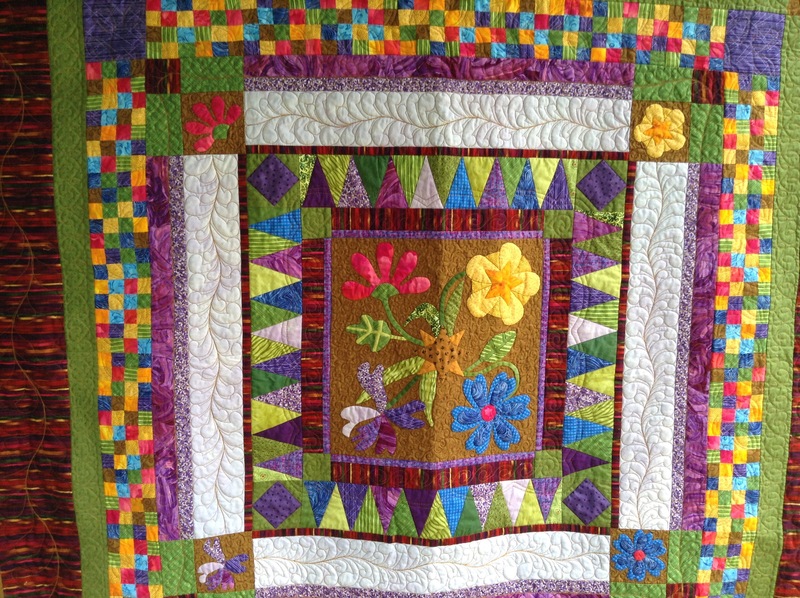 Remember this Round Robin quilt that I posted about 2 years ago on April 19, 2014? 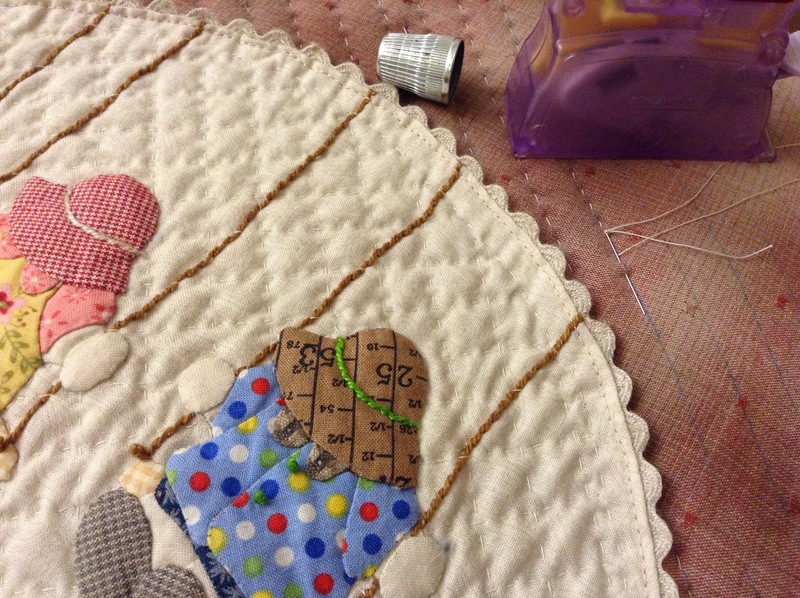 In my last paragraph I made this statement – “I’m now busy hand quilting the centre piece using DMC Perle 8 thread, using a number 9 quilting needle. It’s a bit of a bugger as the needle eye is a bit small!” Well the hand quilting did happen, for a little bit then it got unhand quilted and machine quilted. In my last post “More babies …” March 19, 2016 I mentioned that I quilted a “cover” while the baby quilt was being made. Well this is the quilt. I quilted it on my HQ Sweet Sixteen as all the “stitch in the ditch” was done. I practice my free motion quilting using stencils in the following borders, twirl on first strip, and leaf on the checker board and heart on the green fabric. Then I got brave and pulled out the curved rule and quilted feathers on the light purple and in the last strip fabric. This was lots of fun! Hope you all had a great Easter? I did. We went a way for a bit that’s why it’s been a bit quite here at Buzy Day. This is the quilt I made for the baby shower I went to last Saturday. Due to modern medicine we know it’s a boy and his booked date for arrival is the 8th of April. That’s if he doesn’t decide to change the date! It was quite a thing because the mommy works for my husband and he works from home, so the patch working and quilting had to happen “after hours”. Every day I had to get rid of / hide the evidence. The pattern was inspired by a pattern I purchased on line from Cotton Way by Bonnie Olaveson called “Smooth Sailing”. The original quilt size is 83” x 91”, far too big for what I wanted. So I changed it and only made two of the boat blocks for the bottom adding 4” (4½” cut) blocks in between and for the border and creating an appliqué name block at the top, using blue/grey/red fabrics to suit the sailing theme, I used the leftover to make the backing, used a 100% cotton batting, did an overall quilting of little sail boats with the sea and sky, making the finished size 46” x 58”.